Since the new cabinet made it's way into our master bedroom, replacing our dresser- I have been playing 'musical furniture'. Our dresser is now going into Hannah's room, and her dresser made it's way to our entry way. I love this old thing. When Hannah came along, we got a bigger dresser and gave her ours. It was painted white to go with all of the nursery. I've long admired the look of dressers in entryways. It's very homey. Miss Mustard Seed is definitely my blog hero, and I love so many of her Euro inspired pieces. I want our home to have a romantic, bohemian, European feel to it. (and a little beach casual thrown in....) so, here's a nod to that. Here's the techniques that I used. Nothing too technical or high brow- it's just what I do that works for me! This was pretty worn down- I didn't do much to prep it, because when I started, my only intention was to leave it white and distress it a bit. 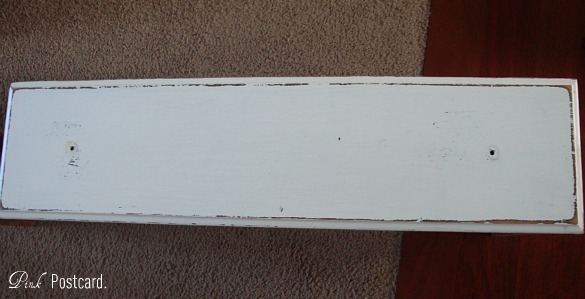 Once I had the idea in my head, I sanded just the edges of the whole dresser. Next, I hopped on the computer and printed out my lettering. I used two different fonts- mostly because I didn't like how one looked in caps. 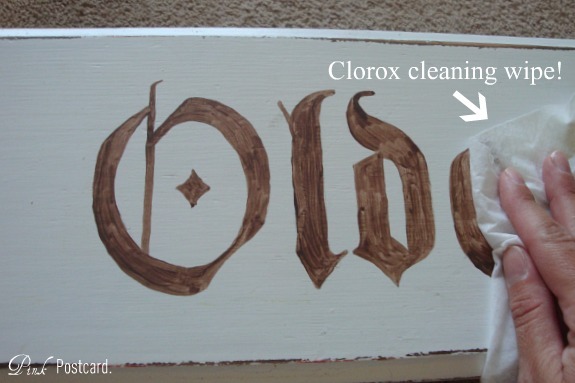 Painted the lettering on (I know my strokes aren't that great, but you'll see why I don't mind in a sec) and then used my 'happy accident' distressing technique that I used on my other dresser makeover- Clorox cleaning wipes. 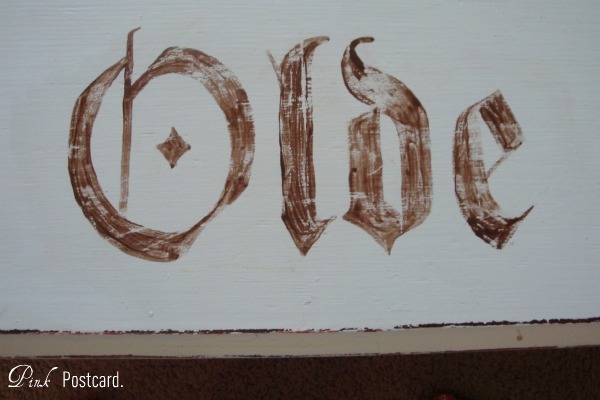 I was just using craft paint for the lettering- Americana Burnt Umber. When you wipe it down, it takes off some of the paint. Then, I used my Delta Home Decor liquid wood stain, mixed with a tiny bit of water and brushed it randomly all over the dresser fronts. With a slightly damp rag, I wiped most of it off, and left a little more on in certain spots. The side insets really needed something, and at first I thought I'd do some book pages, but it didn't look right. It needed color. I even looked at some vintage British maps I happened to have, but still didn't love it. I just decided to paint some more. 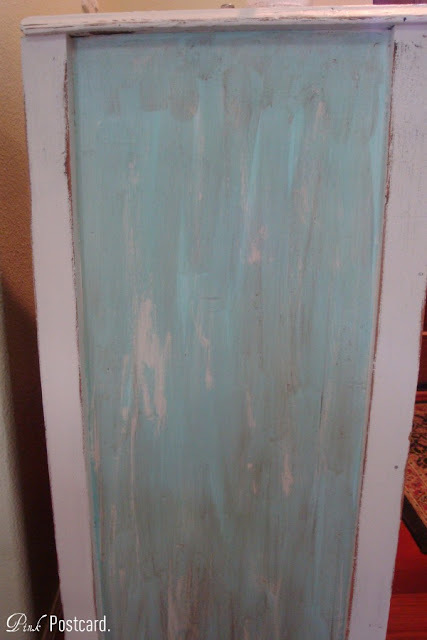 This aqua has been used a lot around here- it was the color I used on our coffee table, and Hannah's bedroom wall color. It's Valspar's Crystal Aqua in Eggshell. A quick coat, with a little bit of the white peeking through. I wiped some of it off with a damp rag, and then used the same watered down wood stain on the insets- again, wiping most of it off with a damp rag. I finished off the piece with a clear sealer so that it would stay as is! The glass knobs were added too, and I think it's a nice sparkle to all of the distressed look. 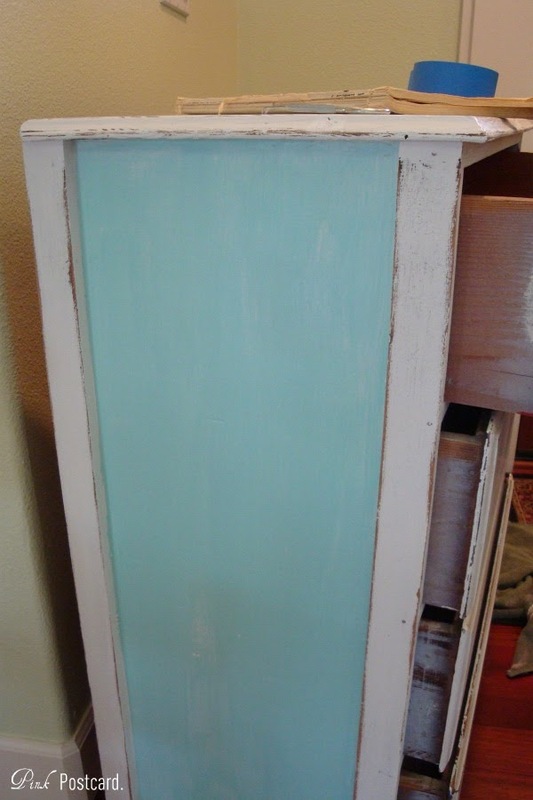 I plan on using this for storage for most of our dining room linens, as well as last minute, out-the-door items. Very cute, fun and functional! Love the pop of color on the side panels and the old world feel. I'll have to remember the clorox wipes tip. The dresser came out great. The glass knobs - they add the perfect contrast. I love your Clorox wipe tip. Wow! I love what you did to this dresser! It looks amazing and what a great place for some storage. I love the touch of color you added on the sides. I LOVE your dresser. Such a great piece of art! 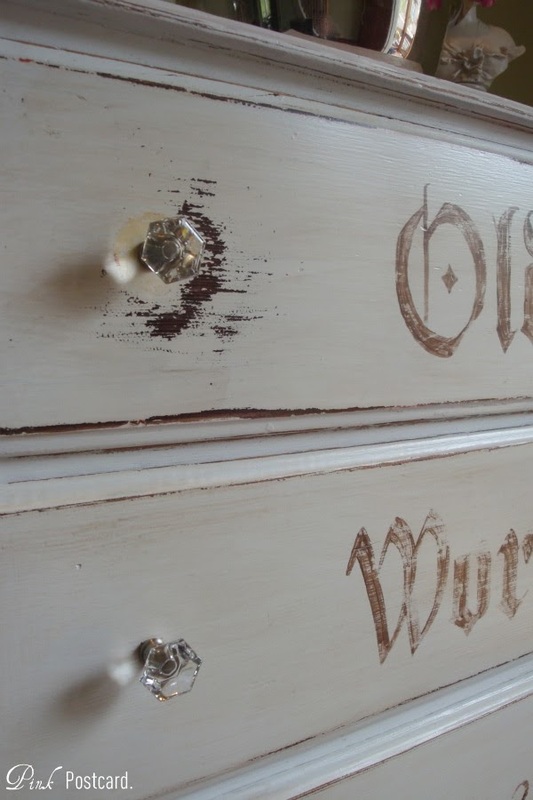 Love the words you stenciled. This turned out great, Denise. I've been on a bit of blogging hiatus (buying, packing, selling, more packing for a big move) & haven't been commenting lately. I do get your posts via email and just love all the wonderful things you do. I needed a "packing" break & just spent some time browsing your blog. You truly do have so many wonderful ideas & end-results. I'm getting lots of ideas for our new home. Thanks for sharing it all! YOU have inspired me! I have a large dining table to paint and I have GOT to get it done. Could you please come over and help me? I am just a little way down the road in Kansas. lol Pretty pleeeeease with sugar on top? Oh and bring that flower arrangement with you...it's gorgeous. You are quite talented! This turned out lovely...I am now following. i absolutely love it...it matches you and your lovely home. That looks fantastic. 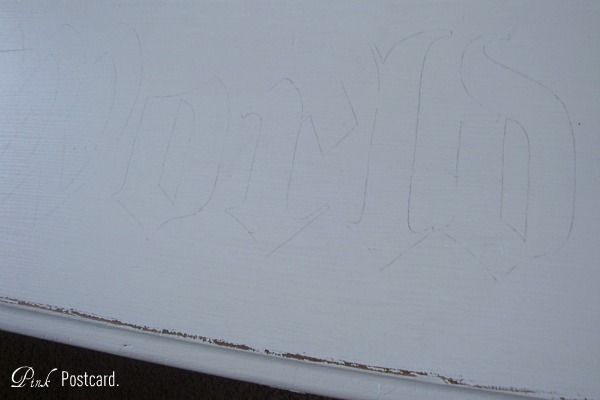 Did you use a project or carbon paper or something else to transfer your design to the dresser? That looks awesome. I am a new follower. Love it Denise! Bethany was telling me about it. 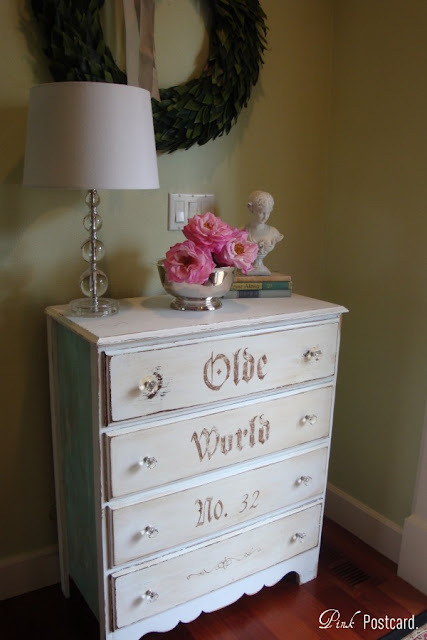 I love dressers in places other than bedrooms to. Buffets are great in unexpected places to. Thanks for sharing! Found your blog through Between Naps on the Porch. 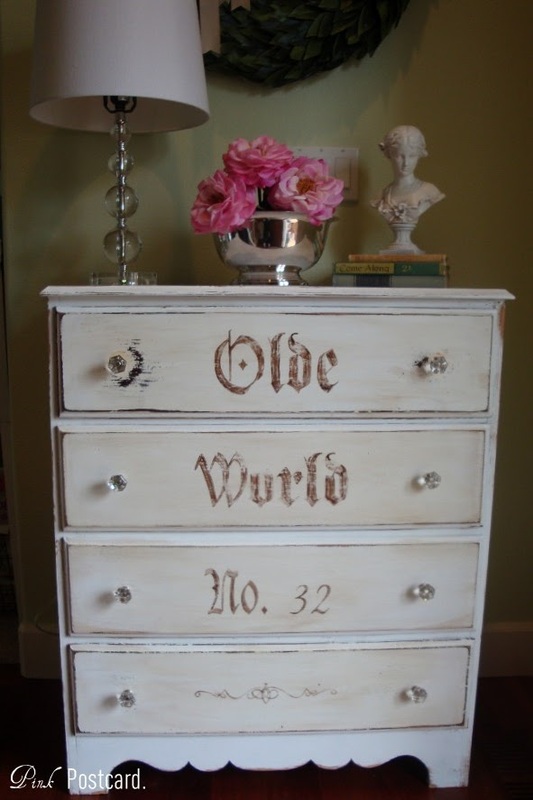 Love what you are doing with furniture. Took a quick look at your shop post. Added you to my favorites and will be following as well. 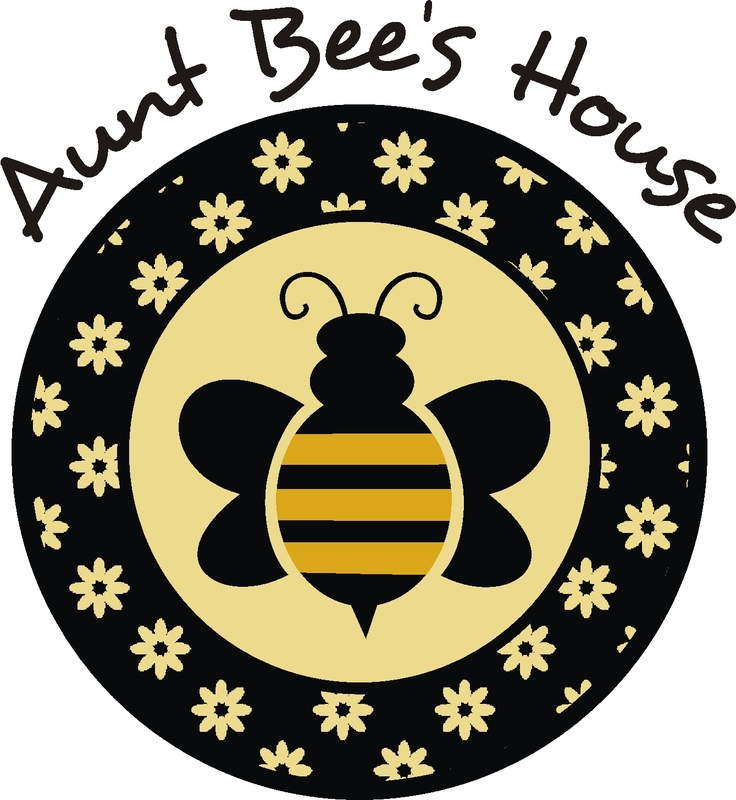 Nice to find your blog. I love it too, its fabulous! 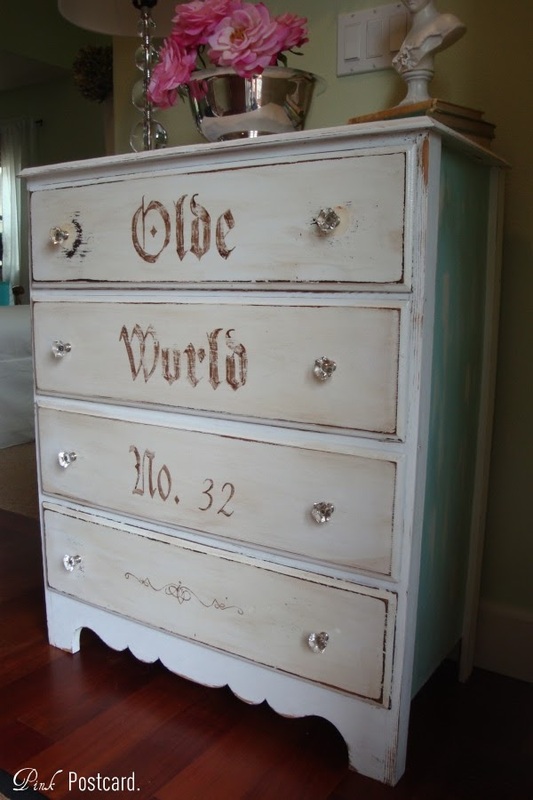 The dresser is gorgeous. And I'm going to be trying some of your painting techniques. i am really loving the fun color on the sides! they really give it some pop and charm! so cute, denise! you are so talented! What a great idea to use the cleaning wipe! I'll definitely do that in the future:) I'm a new follower! This is just lovely! I like your "message" on the front. Thanks for the tips about the cleaning wipes; I will definitely be trying that! You did an amazing job. Beautiful! Hi ~ I just found your blog and wow, your dresser is so amazing. I really like the words :Olde World" you put on the drawers. 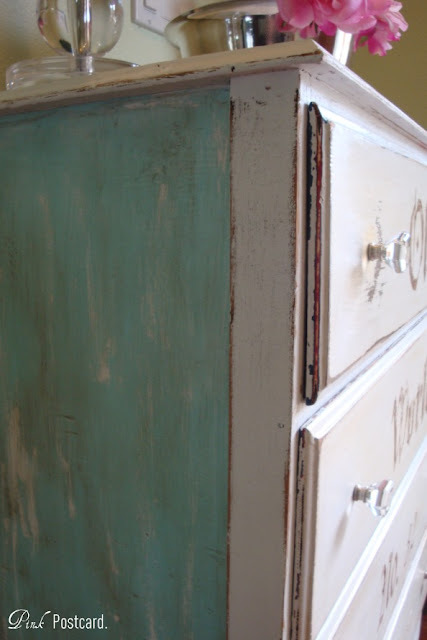 I sure enjoy painting old dressers too. I have pictures of them on my blog under "painted found things" if you are interested. I would sure be grateful if you followed me and thank you.